Thank to Dr. Chiu, the Chairman of the Photography department at Tung Fang Design Institute, conducted wonderful art talk during the opening session by introduction the artwork of using tens of thousands of people such as Living Photographs in early 19 Century. It’s very valuable information to encourage people to more understand the 175-years of photography history since 1839. This is a big initiation into photography education in Taiwan. 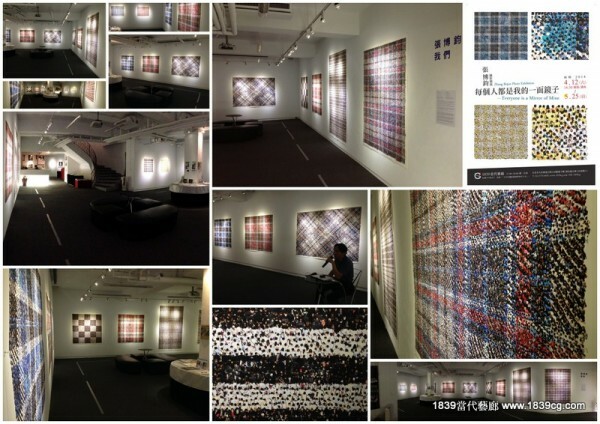 Through this exhibition to give young generation artists more creation ways of photographic works. In 1919 ad era of United States photographer Arthur Mole and his friend John Thomas, famous for his series of “living photographs” made during World War I. For these photographs, Mole and his partner, John Thomas, used tens of thousands of soldiers, reservists, and nurses – and arranged them in various patriotic symbols. From the 80 foot high viewing tower (2450 cm) where Artist stood, to figure out the exact number of soldiers needed for each pattern to create these wonderful works of art. People from Heilongjiang China are an expansive, optimistic, generous, brave, and dares characteristic. Photographer Zhang Bojin spent seven years has involved wandering the streets and taking pictures of people as they pass by. People are the key element in his creation of work. People are characterized as vanished figure, and degraded as a medium of viewing. It presents well of the real situation of being a Chinese.